Whether this year you'll plant your twentieth garden or your first, picking your seeds is always fun—hmmm, maybe leeks, parsnips and fava beans . . . In addition to the types of plants you grow, it's also important to consider the quality of your seeds. Are they organic, genetically modified? Does it even matter? The answer is YES; read on to find out why. If you make a conscious choice to shop for organic produce, you should do the same for organic seeds. "Certified organic seeds are grown on land that has been certified organic, so the soil itself has a clean history in terms of pesticides," says Barbara Pleasant, author of Starter Vegetable Gardens: 24 No-Fail Plans for Small Organic Gardens (Storey Publishing, 2010). Conventionally grown seeds are grown using a long list of agricultural chemicals, including systemic pesticides. "Many such seeds are coated with fungicides," adds Pleasant. 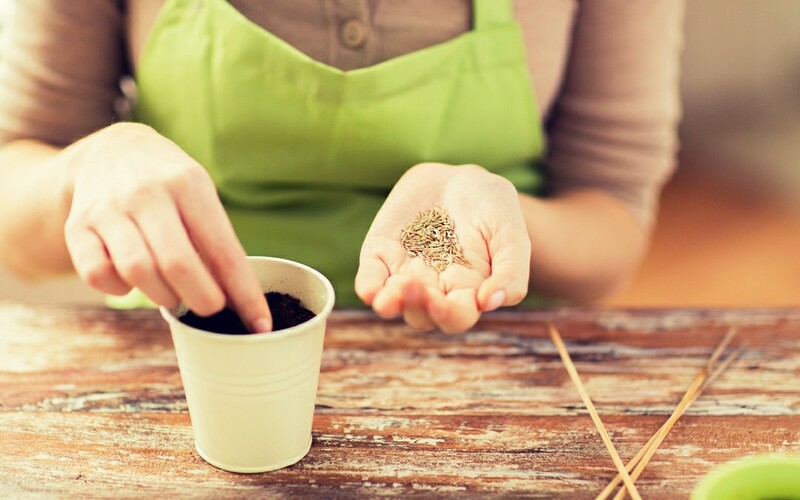 Organic seeds are more than just pesticide-free. Those organic seeds were derived from organic plants; so when you purchase organic seeds, you are supporting chemical-free farming methods. Experts also point out that organic seeds can be stronger than conventional. Conventional seeds rely on chemicals to deter pests, while organic seeds must fight off threats on their own. GM crops in the consumer marketplace are incredibly common. Much of the corn, safflower and canola oils are genetically modified, according to Pleasant. But that's not the case with seeds. Fortunately consumer seeds are largely non-GMO. Seed companies that sell to home gardeners have stayed away from them. Most seed companies have signed the Safe Seed Pledge, saying they will not knowingly sell GMO seeds. Others have taken things a step further by refusing to sell varieties owned by companies that are actively developing GMO food crops, Pleasant says. Click here to find out if your seeds are GMO free. It's important, though, for consumers to understand the difference between a hybrid seed and a GM seed. "I think there is a lot of confusion over hybrids, which are anything but evil and have not been anywhere near a lab," says Pleasant. "Classically bred hybrids result from carefully planned crosses between varieties, and there is nothing mysterious about it. You can create hybrids in your own backyard. Many excellent hybrid varieties are available as certified organic seed, so you can have the uniformity, productivity and vigor of hybrids without compromising the integrity of the crops." When trying to determine if it's best to begin seeds indoors in small containers versus planting them directly in the garden, you have to consider each crop individually. "Vegetables and herbs with very small seeds take a long time to grow, so they would get overrun with weeds in the open garden," Pleasant explains. "Veggies with big seeds—peas, beans, squash and cucumbers, for example—are easier to grow. "New gardeners will do best starting with purchased seedlings of tomatoes, peppers and most kitchen herbs, which start growing as soon as you plant them. You can plant lettuce, peas, beans, and members of the squash-cucumber family from packets of seed, and witness the wonder of germination," Pleasant says. You can always start seeds indoors if you want to get a jump on the growing season. Find out how, along with companies that sell clean seeds, here.